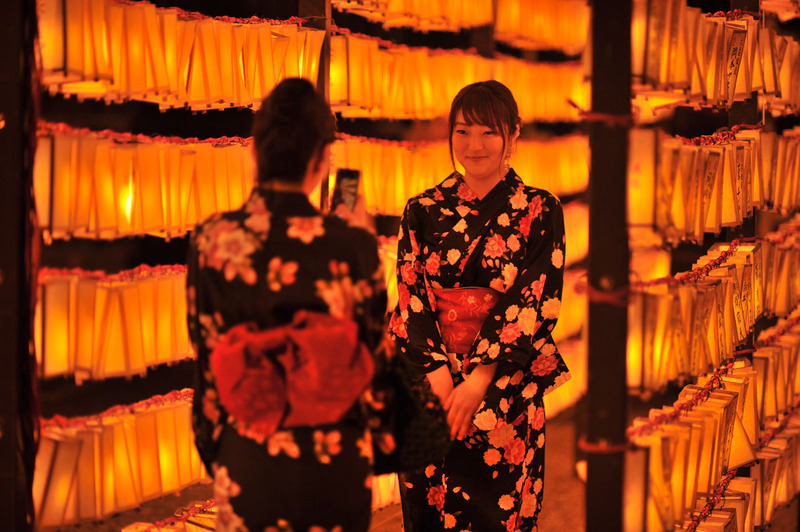 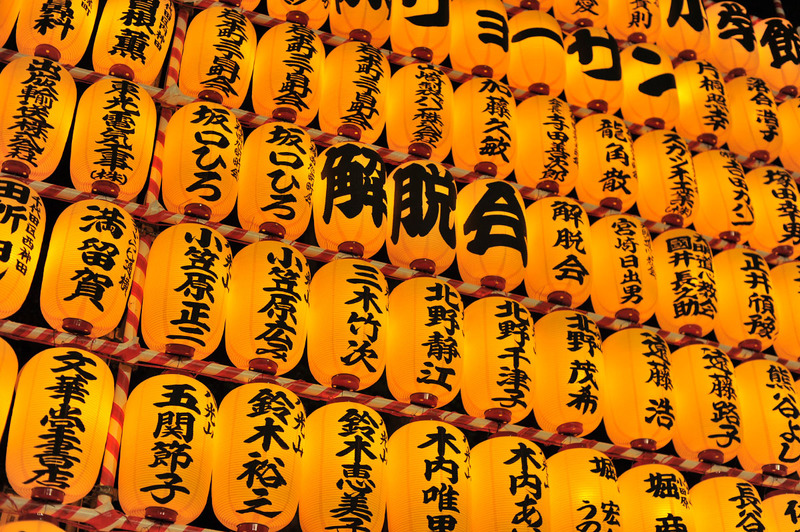 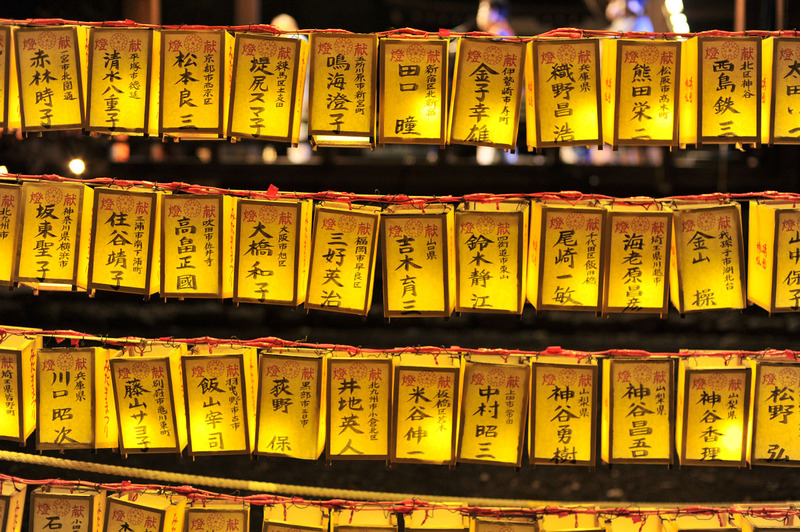 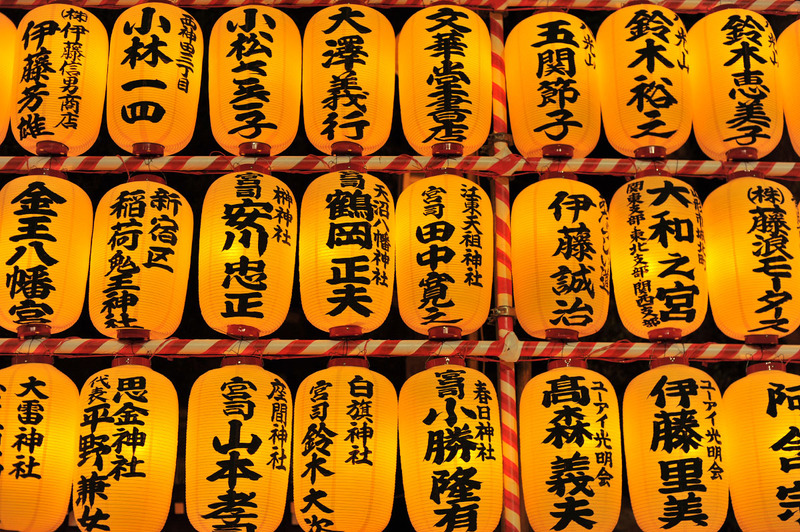 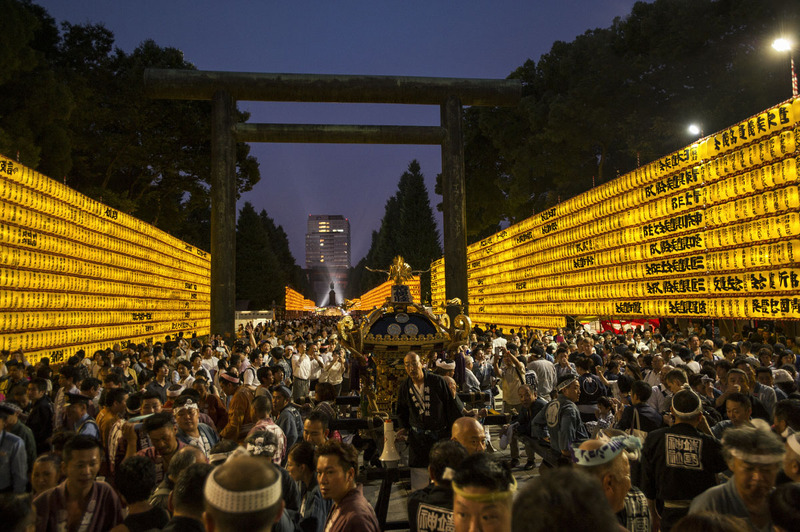 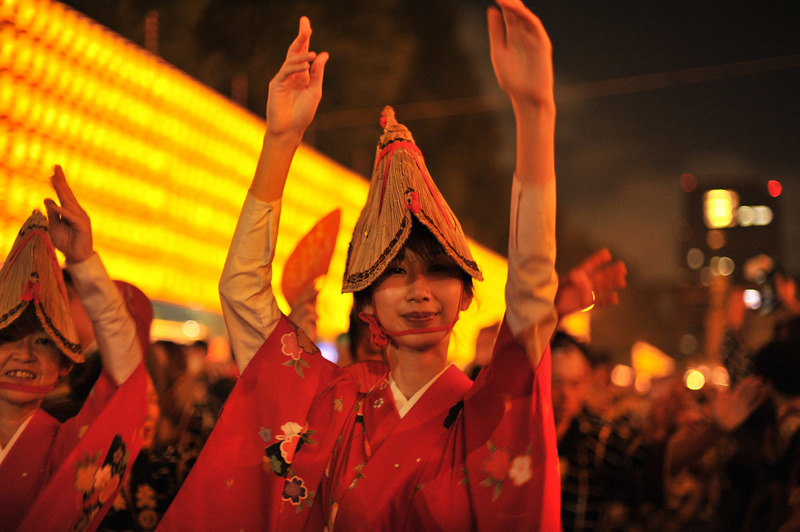 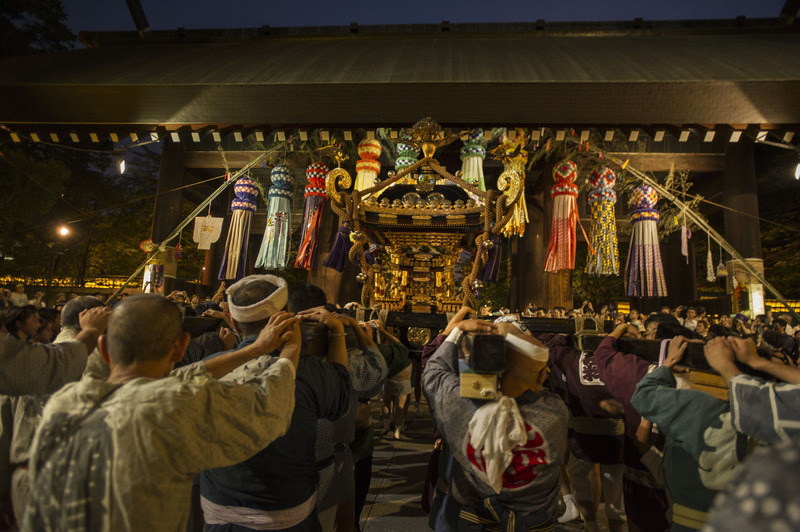 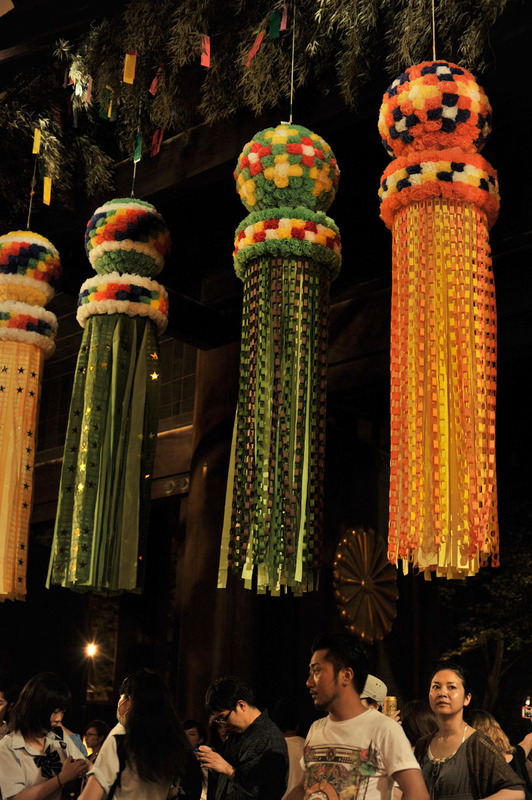 Monday was the start of the famous Mitama Matsuri at one of Tokyo’s most influential shrines, the Yasukini Jinja. 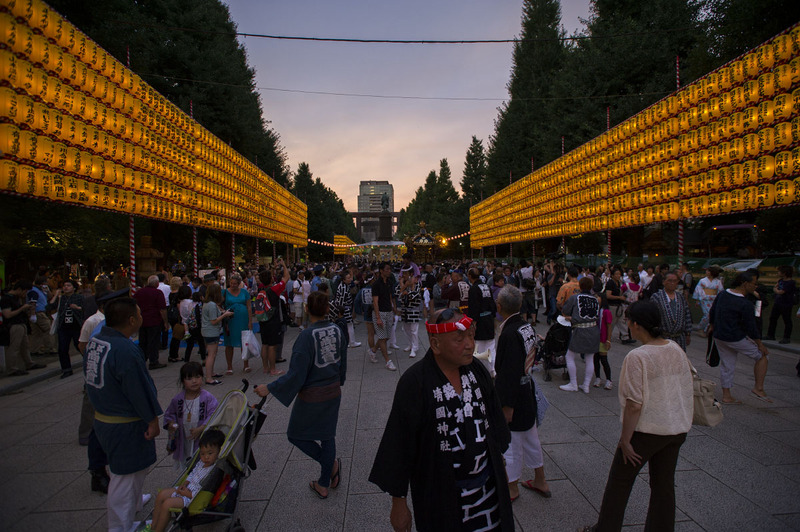 This year the festival is very different from previous years though, in one very obvious way – there are no food stalls (yatai)! 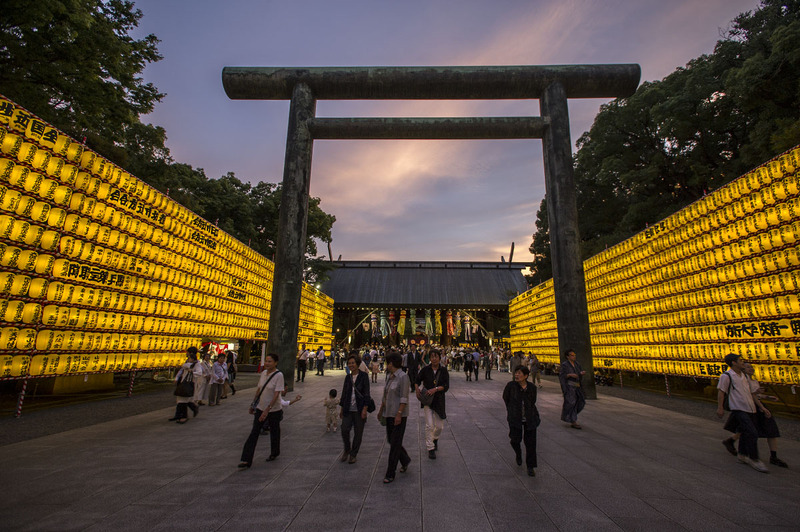 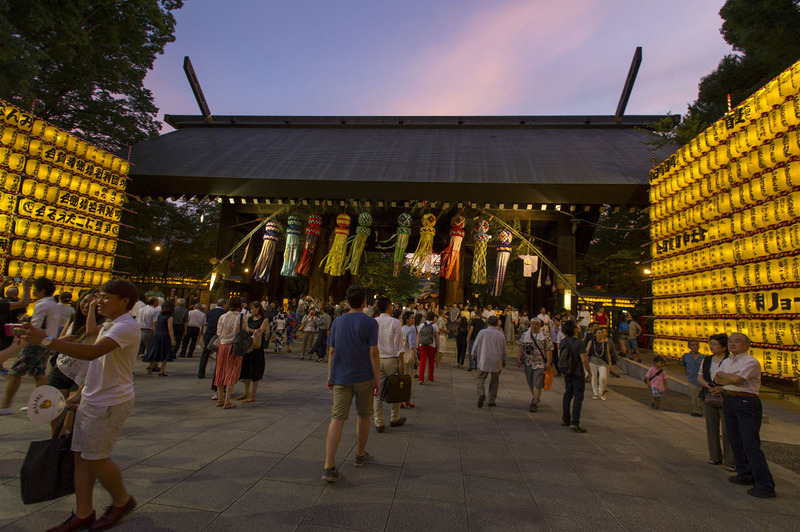 A few months ago it was decided by the shrine to ban all eating, drinking and food stands outside and around the shrine (with the exception of a few vending machines for drinks and the cafes and restaurants run by the shrine itself. 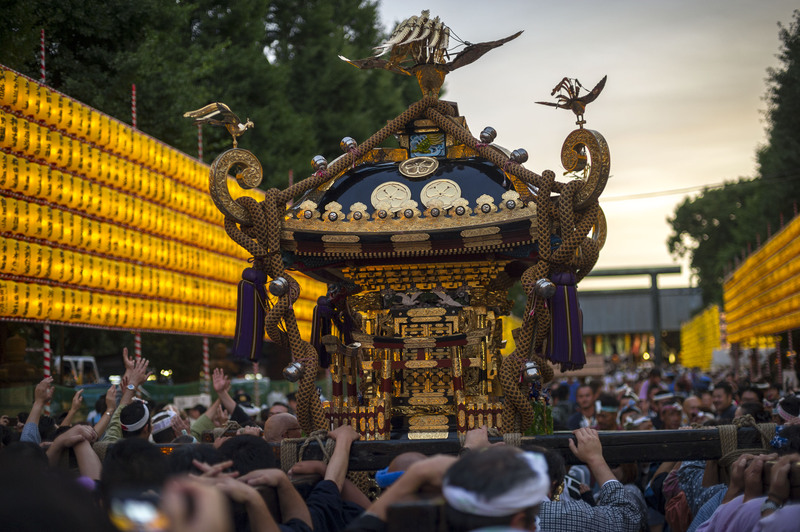 The reason for this harsh decision which made the news in both papers and TV, was that the drinking and party aspect of the festival had gone out of hand in the last few years. 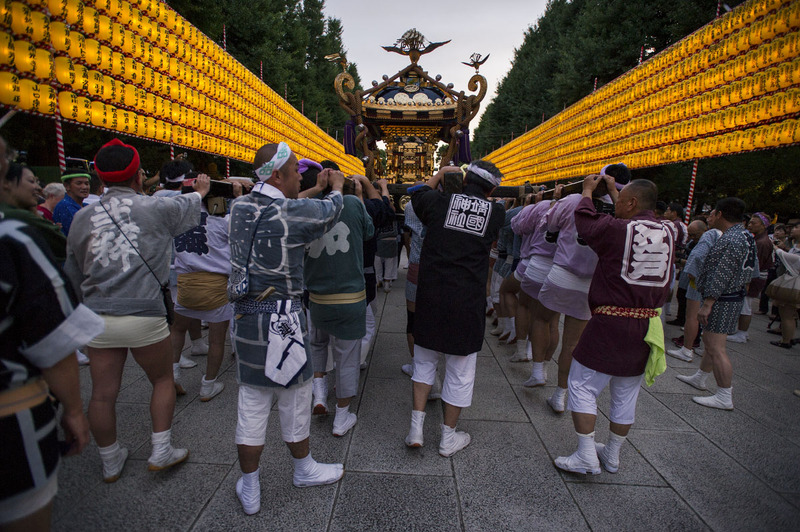 The shrine wanted to get back to a cleaner, more respectful and traditional festival. 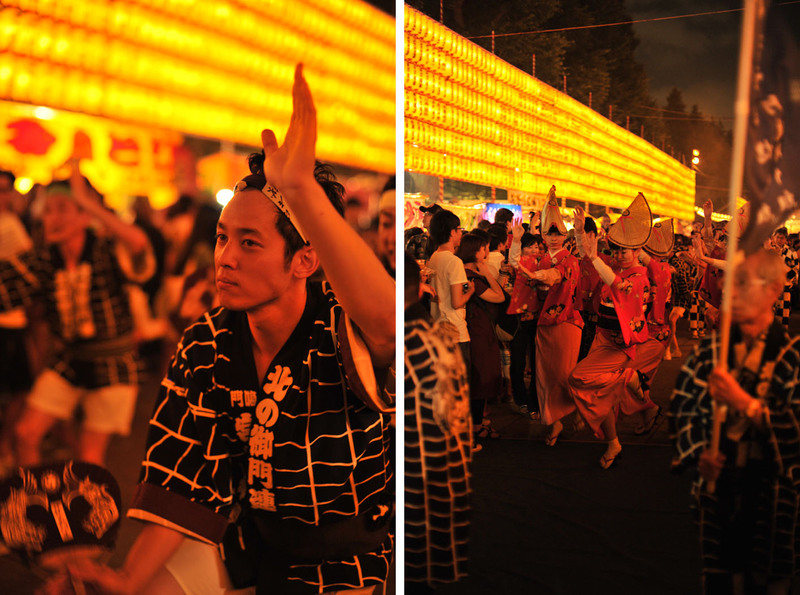 As you can see, the atmosphere of the festival changed quite a bit! 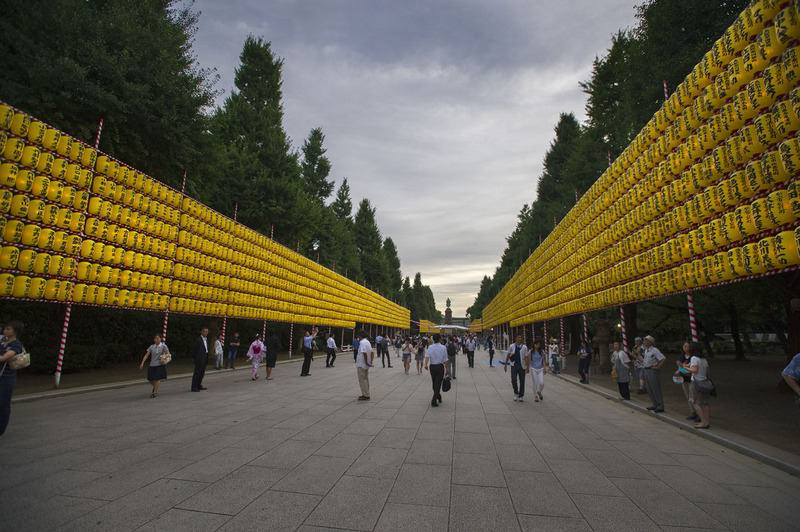 If I have to give my opinion on the shrines decision, I would have to agree 100% with them. 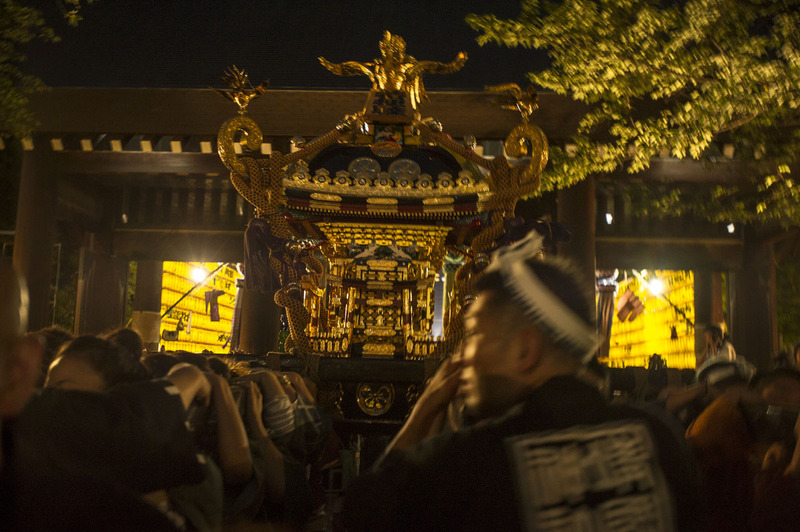 I am absolutely not against the yatai, and they are an important part of any Japanese summer festival, but there are hundreds of other festivals in Tokyo alone, where anyone can to enjoy the food part of the classic matsuri. 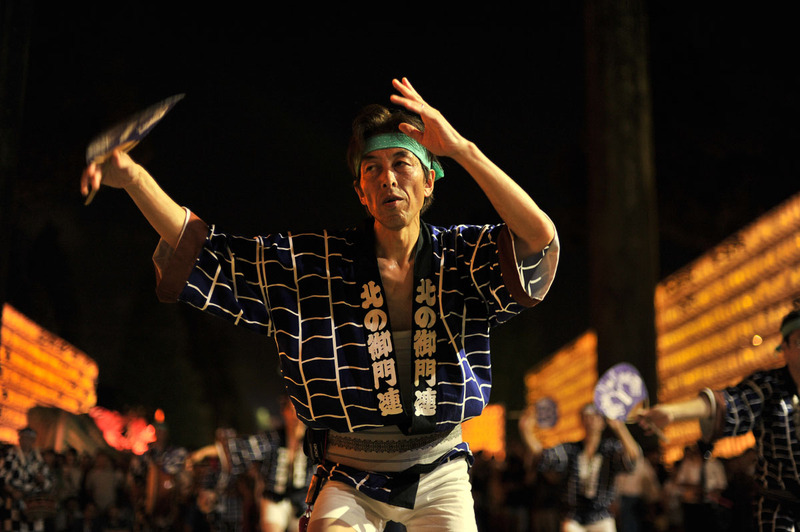 It was actually quite nice to experience this new style of festival. 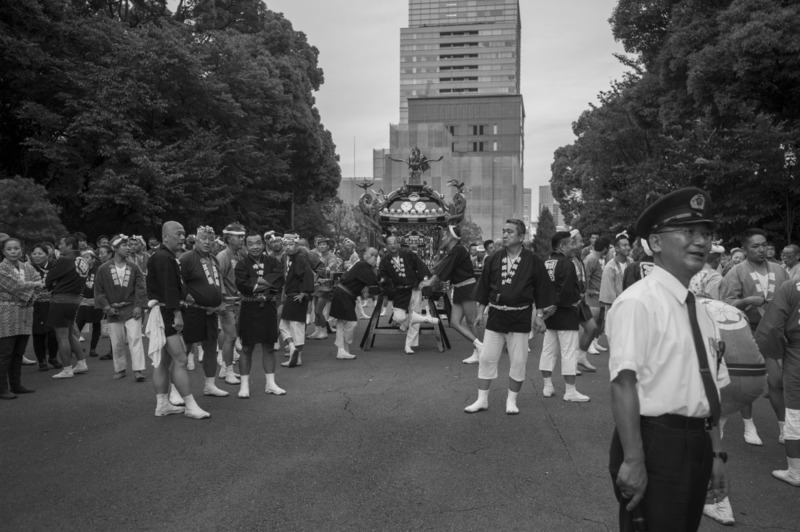 Another bonus was that there were much more space available to visitors, and so movement became much easier and quicker, not much more crowded than being in Shibuya on a Saturday afternoon. 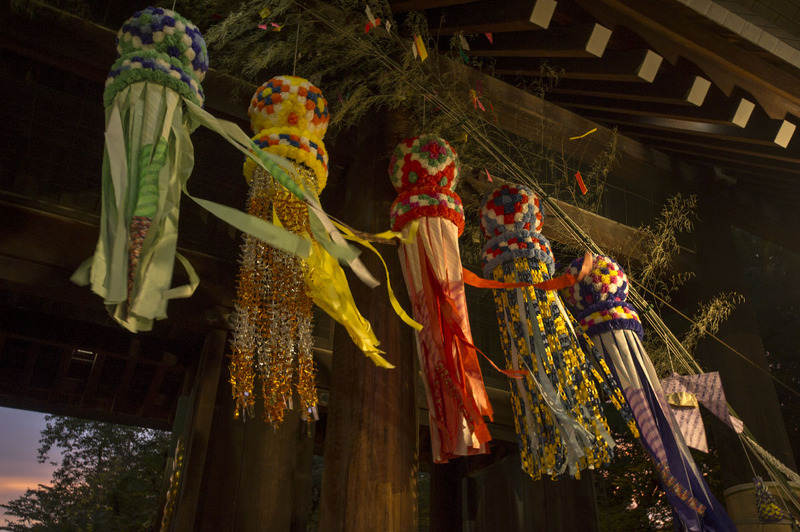 Being a huge fan of Omikoshi I made sure not to miss the first of them! 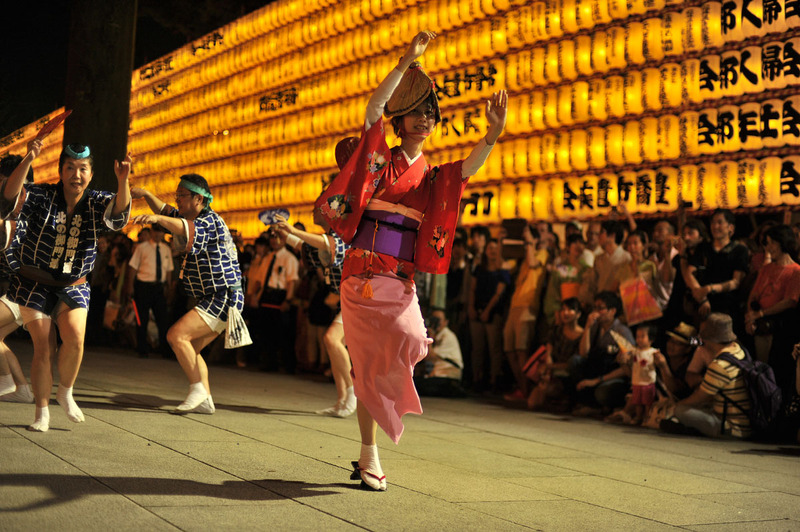 The festival goes on until the 16th, with different performances, shows and music throughout the day and the evening. 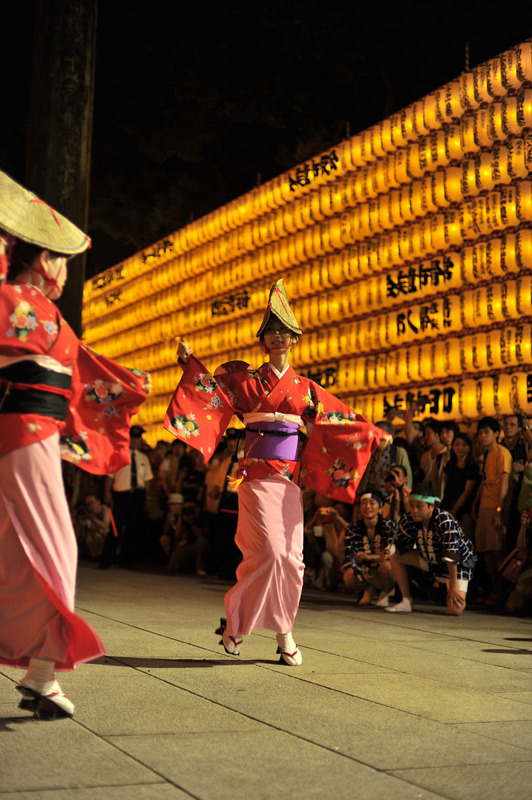 If you are in Tokyo, this really is a must, the start of the hot and humid summer classic Tokyo festivals! 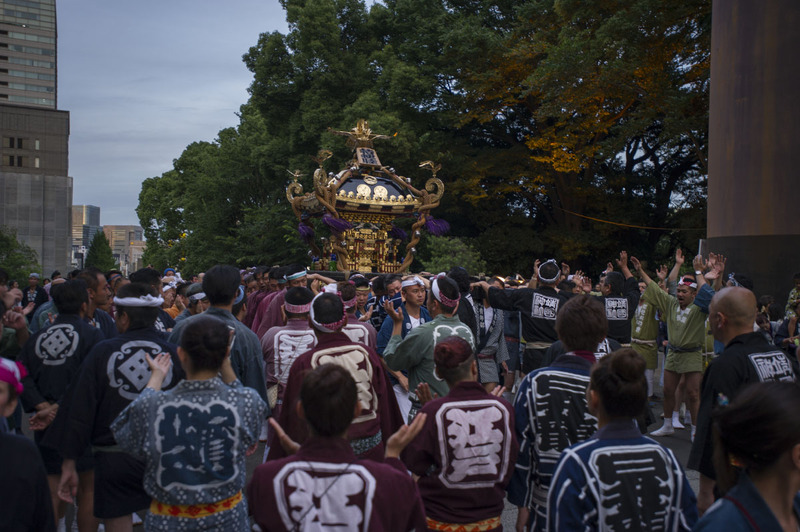 More photos from the first day of the Mitamamatsuri at Yasukuni Shrine in central Tokyo. 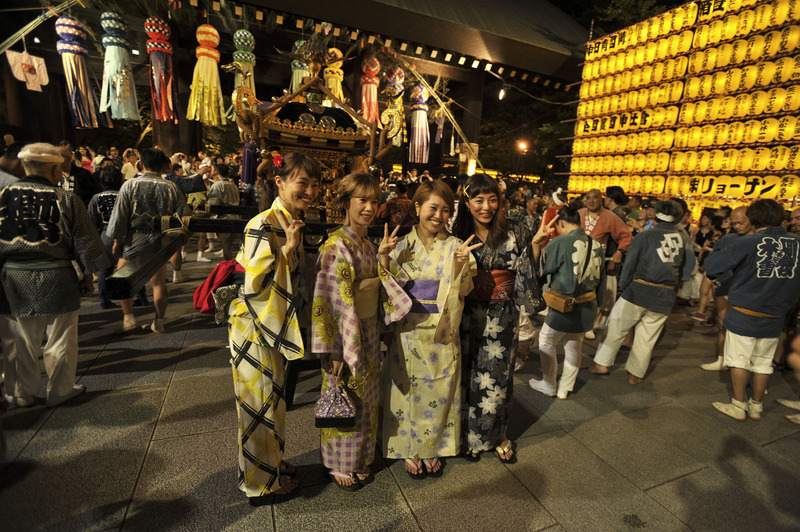 The four day event continues until Wednesday so there’s still plenty of time to see it all! 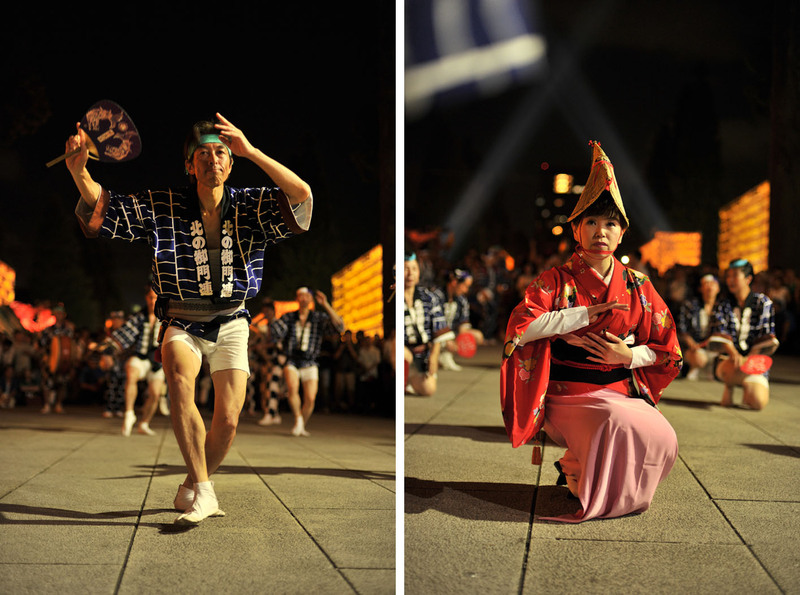 One of the many performances I always try to catch is the awaodori dance by the local team, Kitanogomonren (北の御門連). 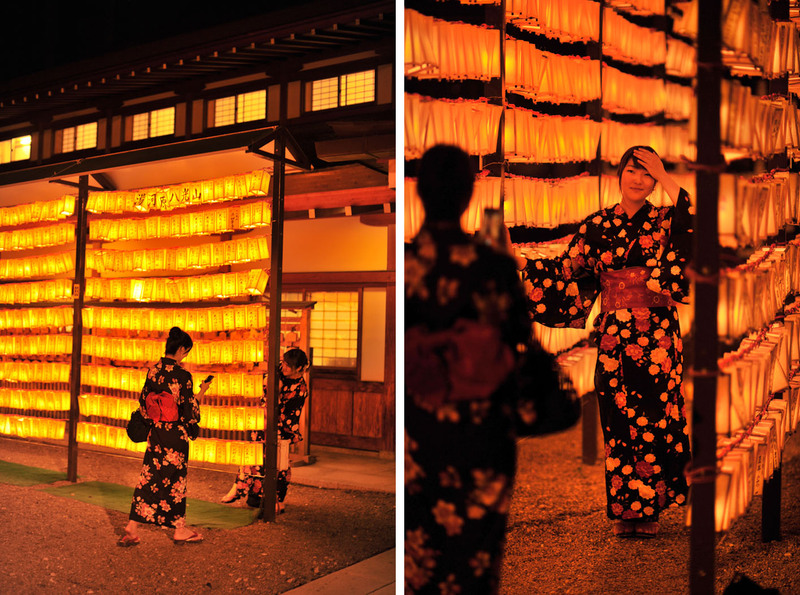 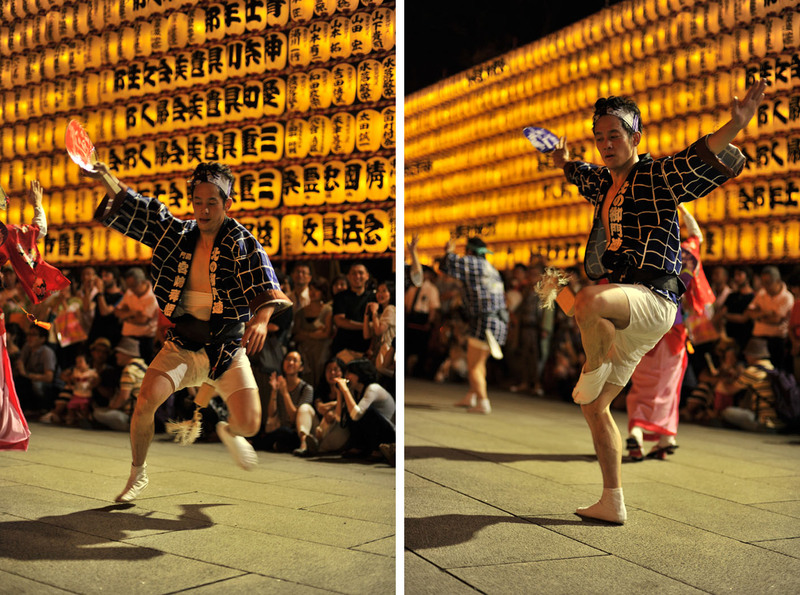 Few awaodori performances take place at more beautiful places than among the many lanterns of the Mitamamatsuri. 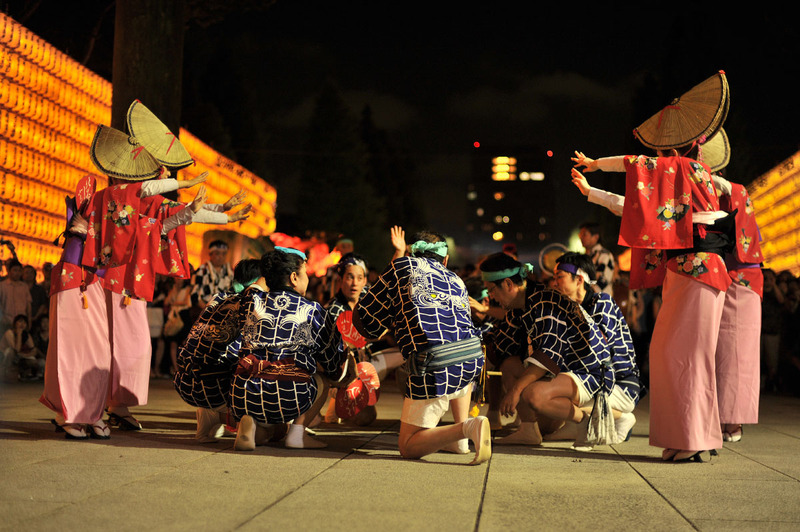 If you are free tonight or tomorrow from 1800 I recommend going to see the festival for yourself!